Web application diagram showing the relationship of the e-vlink a new experience with complex information easy to understand report with diagrams and complete information. Allows you to analyze such information in order to expand their business easier and faster with the fact that both public and private. •	Manage users and assign access rights of the user. •	History can access the system. •	To manage user access to the system. •	You can set objects, each object can be connected to external databases to retrieve information associated with each object. •	You can define the properties of each object independently. •	Binding properties of the relationship of the source object to the destination. •	You can import external data such as telephone messages. •	Set sms gateway can analyze the type of vehicle. •	To link the relationship of all the objects that are connected by a diagram to sort the object automatically. •	The relationship of the object can be linked to a diagram by finding the properties of the object. •	Upload an image representing the object has. •	Scalable, line color and text relationship. •	You can draw lines, circles, Add the cream colored square on the diagram and determine the size of line and color. •	Results can also be connected with Google's plan and send it via sms. • Can save a diagram linking relationships with other objects. 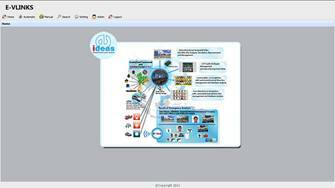 E-vlink system can be applied to a wide range of user requirements. Such as adoption, investigated the case. Fetch the relationship between kinship networks gangs of drug traffickers. phone number Passport - the case of the example, officials said the search. The system will search for e-vlink Mr data. That is what the family home, where relatives of kinship contact with anyone. Relatives of kinship is where gang. No. What about Mr. X's telephone number. 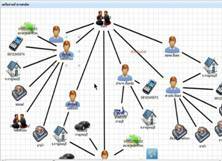 What car registration What bank account number What passport What caught some cases The exhibition is a network diagram of Mr. A and Mr. B all the details associated with the system also supports e-vlink map google map system can send an sms to the mobile front villain. Or may be brought e-vlink applied to the organization to show the relationship of the documentation department, bank accounts, car, phone numbers, kinship networks, employee relations with the withdrawal - night and employee relations with its order. History borrowed pickup truck, etc. 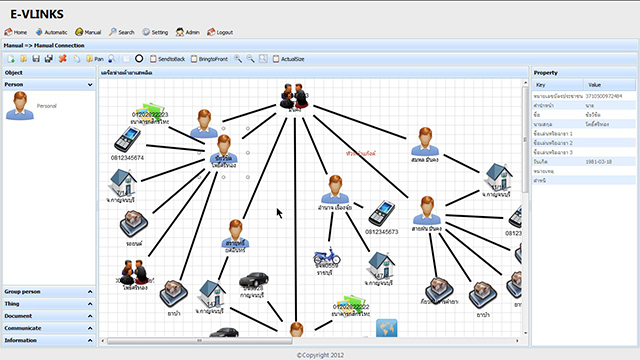 These users can set up and configure itself during the e-vlink that want to tie relationships with anything. To show a diagram and see the details. If you still could not imagine what it is like. Imagine a structure diagram. Or the Cup schedule, but the system of e-vlink we can do much better than those typical diagram. 4. Firefox web browser for running the system. 5. Libraries that want to connect to the system. 6. Username + Password SMS Gateway for connecting to a compatible mobile phone text messages. The company has earned the trust of government agencies in the procurement to installation work e-vlink continuing to seven year guarantee product quality and after-sales service of the company as well. Users of the system e-vlink. - Royal Thai Police Headquarters in conjunction with the office of the narcotics control board.